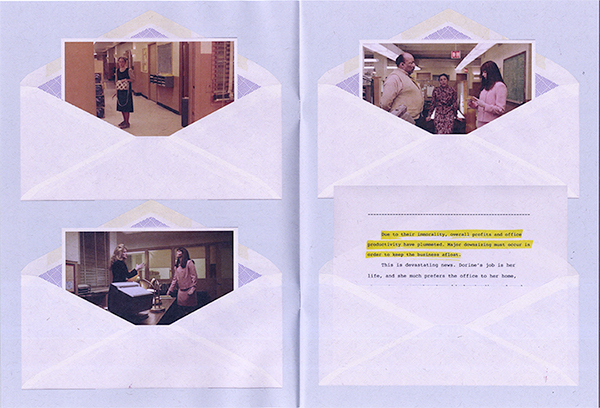 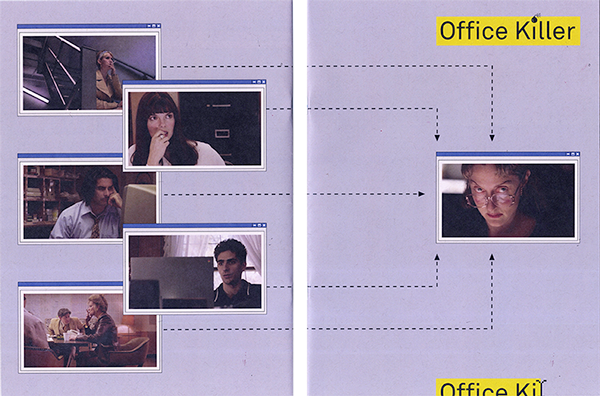 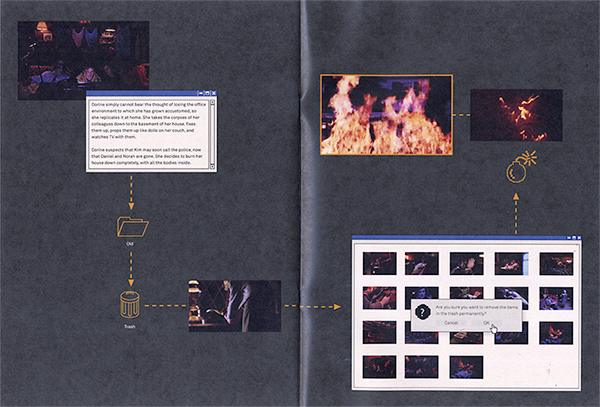 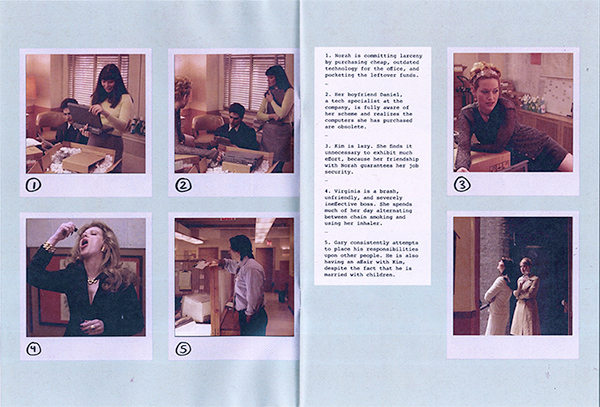 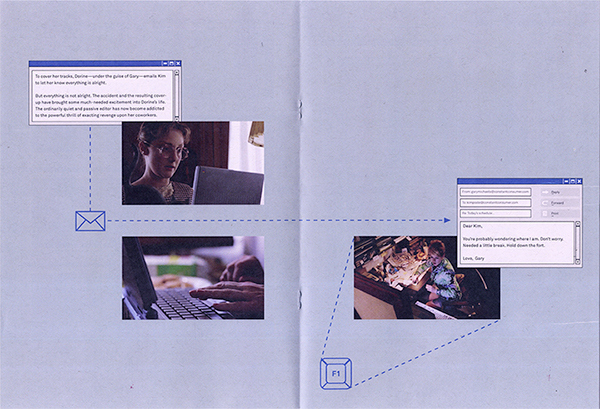 A zine summarizing Cindy Sherman's 1997 feature film, Office Killer. 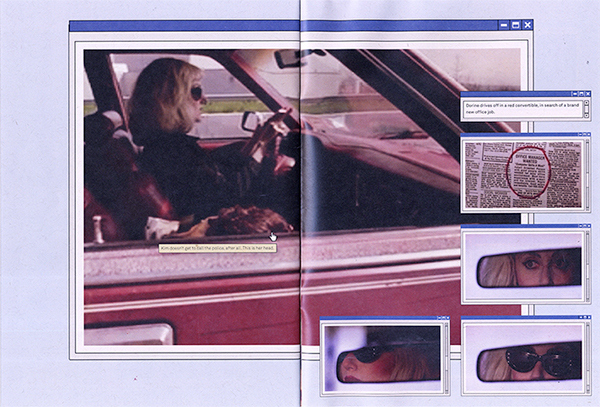 Dorine Douglas works as an editor at Constant Consumer Magazine; her job is her life. 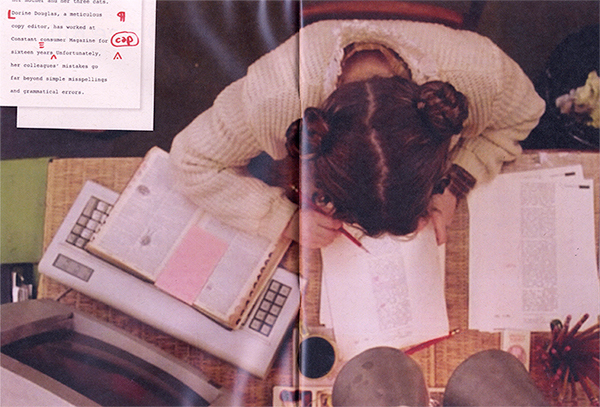 Unfortunately, the business is being downsized, and her job is reduced to a part-time, at-home position. 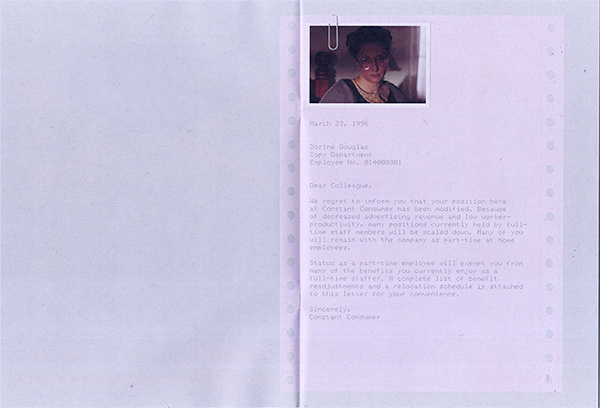 She is driven to absolute insanity, and goes on a killing spree of her immoral coworkers, who contributed to the demise of the magazine.